We often aspire to be in the best shape possible most of the time but there are days when our body’s defenses go down and we succumb to sickness. There are different reasons why a man gets sick and there are various treatments and managements too depending on the causative agent or the nature of the disease. Not all treatment promises a cure, though. Others offer palliative treatment that helps manages the symptom without necessarily curing the disease. 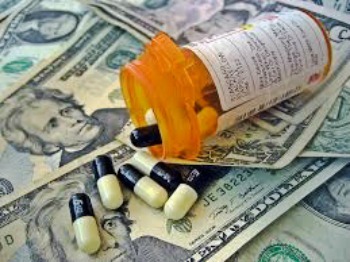 The pharmaceutical industry has long since been making lots of money whenever people get sick. From supplements for disease prevention to antibiotics and expensive outpatient or in-hospital medications, you have to spend more to get better. And that is actually not including the costs of doctor’s visit among others. It’s the reason why the pharmaceutical business is booming whether they are selling branded or generic medicines. People get sick often now because of our sedentary lifestyle, poor food choices, lack of exercise, and polluted environment, so healthcare shouldn’t be ignored for long. A silent war between health insurers and drug manufacturers has given a hint into what is drives up the cost of your medical bill. Drugs make up 40 per cent of the majority of Kenyans medical costs and has been growing by the day, pushing up the cost of healthcare. Insurers, suffering losses claim that drug makers have been pushing doctors to prescribe originator brands which sell at a cost that is three times that of its generic counterpart. They are also claim that the originator brands are behind studies that are out to paint generic drugs as inferior, counterfeited and ineffective. “When a drug manufacturer discovers a new drug they are given a patent, after 10 years other manufacturers are allowed to develop their own versions called generic drugs which have the same efficacy, quality and safety standards as the branded drugs,” a source from the insurance sector who did not want to be named so as not to jeopardise company relations in the sector told Financial Standard. Medicines aren’t cheap either especially the branded ones from innovator companies. But once their patent expires, others can make their own version of the formula and sell it at a cheaper price. Unfortunately, you can’t always tell if a certain company adheres to high-quality standards when making these generic drugs. While other times, doctor push for a certain brand because of connections with pharma companies that makes you doubt whether the drug prescribed is indeed the best choice for you. One of the most critical concerns facing the global health fraternity today is the escalating burden of antimicrobial resistance (AMR). AMR develops as result of microorganisms such as bacteria, viruses, fungi and parasites becoming immune to antimicrobial drugs such as antibiotics. These microorganisms are commonly known as superbugs. Over the past decades, antimicrobial agents have been revolutionary in alleviating communicable diseases across the world. However, when the medicines at one’s disposal become ineffective, the prospects for treatment become grim. While antibiotic resistance is a global hazard to public health, India, the largest consumer of antibiotics in the world, is notoriously seen as the epicentre of this threat. Last year, India attracted unwelcome limelight when a 70-year-old woman from the US died after contracting a superbug during a two-year residence in the country. Doctors in the US say the patient was infected with a multidrug-resistant organism known as carbapenem-resistant Enterobacteriaceae (CRE) which is immune to all available antibiotics. In the recent past, India has witnessed many large outbreaks of emerging infections and most of them were of zoonotic origin (diseases transmitted from animals to humans). While exact figures are hard to come by, WHO’s Global Burden of Disease report of 2004 suggests a 15-times greater burden of infectious diseases per person in India than in the UK. According to the calculations based on World Bank data and the Global Burden of Disease report of 1990, the crude infectious disease mortality rate in India today is 416.75 per 100,000 persons, which is twice the rate prevailing in the US. Another problem that involves medicines is drug resistance, which is becoming far too common now that people abuse the use of antibiotics or take one even without a prescription. While we may think of doctors as getting rich from the drugs they prescribe us every time we get sick, it is still better to get their expert advice to make sure we take the right one for whatever medical issue we have. Healthcare is crucial to staying healthy and living a long life, which is the goal of most of us. We need medicines (the right ones) to help us stay healthy and fight off infections and diseases before it does lasting damage.